Do you have a horse that is prone to Laminitis, Cushings, Equine Metabolic Syndrome, Tying Up, Insulin Resistance or Obesity? Then do not wait and start feeding HYGAIN® ZERO® the low starch and low sugar complete horse feed today before it’s too late. 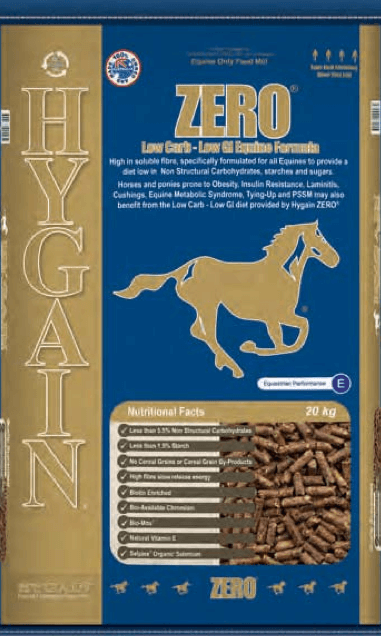 HYGAIN® ZERO® is high in soluble fibre (35%), fortified with vitamins and minerals and has the lowest sugar content of any complete feed on the market.